Have I mentioned just how AWESOME Beth’s Occupational Therapist (OT) is? Well, in case I have not, she is beyond awesome! Ms. S has been with us since Beth was 2.5years old, and has become part of the family. She has been such a blessing to our family, but this year she gave us a special gift, she gave us part of her gardening space to use. For the first time ever, our family has a garden! Beth is VERY excited about having a garden, and getting to visit Ms. S (and her family) a LOT this summer. I am praying that Ms. S is not tired of us come August, because my girls never want to leave. We planted our garden yesterday, and only had one rain delay during the process. Unfortunately, my back is acting up, so I did not get to plant, but I did get to take pictures of the girls working with Henry. I am so thankful to have a husband that doesn’t mind getting his hands dirty. He knows a lot about gardens, even though he has never had one, because he talked to the horticulture teacher at his school quite a bit. During the weeding and planting, he tried to teach the girls things, but there was too much excitement and too little focus. I am greatly looking forward to the coming weeks, as our garden becomes a large portion of our school day. 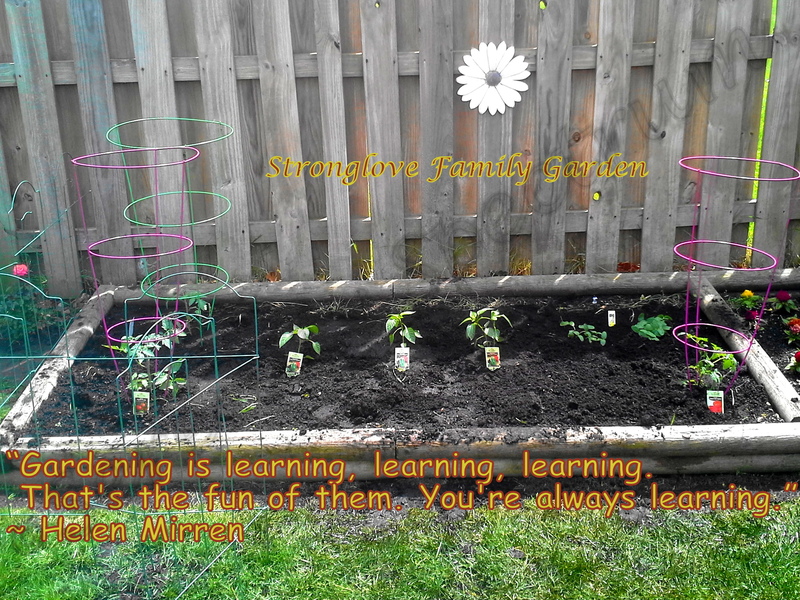 This quote, by Helen Mirren, says it all: “Gardening is learning, learning, learning. That’s the fun of them. You’re always learning.” While, I do have trouble “thinking outside box” when it comes to education, I know for sure the garden will be (at the very least) science and math; I am thinking I can also get some language arts in there too. For those of you more creative than myself, what else could I teach my girls (4 and 6) using our garden? The girls learned (or more accurately relearned) a tough lesson today. They learned that Mommy follows through on her promises. I have been very disturbed by the recent lack of respect, and diminishing kindness, with which they treat each other. The root of almost all of their issues are toys, books, dress-up clothes, etc.. The fact that my children cannot treat each other with respect and kindness because of material things, is extremely upsetting to me. They have also started to speak to me with words and tones that are unacceptable. To be honest, they are often using the words or tone I previously used with them, and that is a BIG problem. Often times my reaction is based on my expectations, not their actions. As we say in program: “Expectations are predetermined resentments.” Regardless of the situation, it is NEVER okay for me to talk to them without respect, and I know I have been remiss in this area; hence their new-found level of disrespect. I sat them down the other day, and explained that yelling makes me sad. That I do NOT want to be a Mommy who has to yell, in order for them to listen, and behave with respect. I reminded them that we homeschool, so they are not bullied, but treated with kindness. I told them that since they are always fighting over objects, that any object they cannot share, will go in the garbage. I further explained that any object that seemed to be the root of any disrespect, or lack of kindness, would also go in the garbage. I reminded them that we must always use RESPECT and KINDNESS with our words, hands and actions. Today, while down in the laundry room, I heard the screams and crying up here. I came up to find Anne sobbing and Beth very upset. I ordered them both to the table, where they had to put their heads down until they calmed down. Once they calmed down, I asked what happened, and why they were fighting instead of cleaning the room. The answer was basically that they were fighting over toys; Anne was teasing Beth, and she put her hands on Anne. They remained at the table (crying and screaming), while I “cleaned” their room. I threw out almost a full garbage bag of items from the bins in their room. I chose things they no longer played with, things that were not working right, etc… I did not throw away any of their favorite items, but the point was made. After I went outside and put the bag in the dumpster, I came upstairs and cried with them. I now FULLY understand all those times my father told me he was sad (or disappointed) and not mad. Although the rest of the day went very well, we rehashed the incident MANY times. Anne wanted me to promise not to throw out anymore dresses. Beth wanted to talk about the kids who don’t have food or toys. I explained to Anne that I could not promise her anything in regards to the dresses, because whether they stayed or went, was up to her and her sister. I explained to Beth that there are many children that can only dream of having what they have. I told her that countless children go to bed hungry and have no toys to play with. I told her that she and her sister need to start being more grateful for what they have, and acting the way God knows they can. I felt horrible most of the day, in all honesty I still feel bad. THIS is not the mom I want to be either. I want to be a mom who inspires her children to act with respect and kindness, because they are following my example. I find that I am repeating patterns, which I had thought I was breaking. As I work my Fourth Step, I see deeper inside myself, and KNOW that I can do better (MUCH better). Tomorrow is a new day, and although today was FAR from perfection, there was a bit of progress, and that is how the girls and I will continue to grow into the women God knows we can be. This year we did something different for Christmas, we celebrated Jesus’s birthday. Since finding Al-Anon; and building a relationship with my Higher Power, whom I call God, my outlook on life has changed. I do not come from a religious family, but I want my children to have a good spiritual base. One of the ways I am building their foundation, is by having bible study everyday in school. Another way is to teach them about Random Acts of Kindness; and helping others, simply for the joy of knowing you made someone’s life better with your thoughtfulness. With our more Christian approach to life, we had a birthday party for Jesus on Christmas day. We had the Nativity scene set-up in the middle of the table, and each girl got a cupcake with a candle to sing Happy Birthday to Jesus. Even our parents joined in the singing. I love that even when they don’t understand/agree with us, they still participate for the kids. After we sang, it was time for the girls to give their gifts to Jesus. We pulled up the World Vision gift catalog, for them to pick-out their gifts. This year we decided to give an animal to a family in need. Beth gave a share of an alpaca, and Anne gave 3 ducks as their birthday gifts to Jesus. 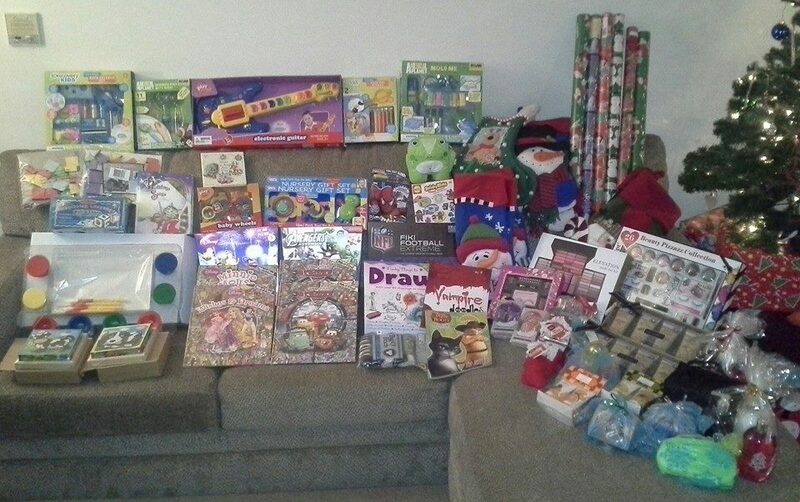 It is something small, but their gifts will help two families have it a little easier in the coming year. I think our first year having a birthday party for Jesus was a success. I cannot wait to see what next year’s party will consist of. I am proud of my girls willingness to give to others, and the joy I see in Beth when she does something that “makes God proud” or “makes God happy.” Her words are simple, but potent. One Day At A Time, we are being the change we want to see in the world. For as long as I can remember, Christmas has always been about gifts, and spending time with family (even if you didn’t want to). You were obligated to see every family member, and you should always have a gift for them, even if you could not afford it. I remember years, when we were barely making it, but there was still an emphasis on gifts, because they made people happy. Although, I have changed in many ways, I still have that gift mentality; however, I want to change Christmas, so our children can experience the true meaning of the season. My children are only 3 and 5 years old, but they are already developing that mindset of instant gratification, and needing to have everything they want. I will admit we have been a big cause of their entitlement mindset, which is why it is our job to change it. We want them to be grateful for all they are blessed with, instead of expecting and taking it for granted. 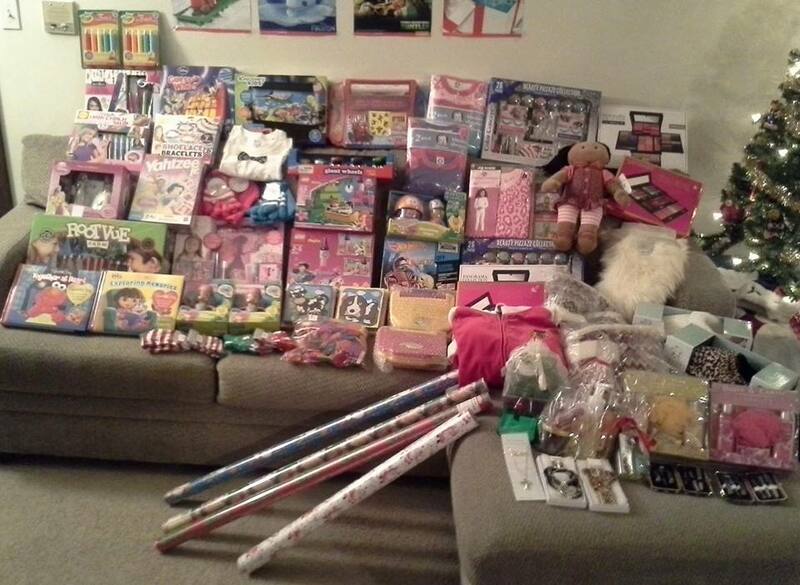 This is our second year doing a gift drive for a local Crisis Center For Domestic Violence. 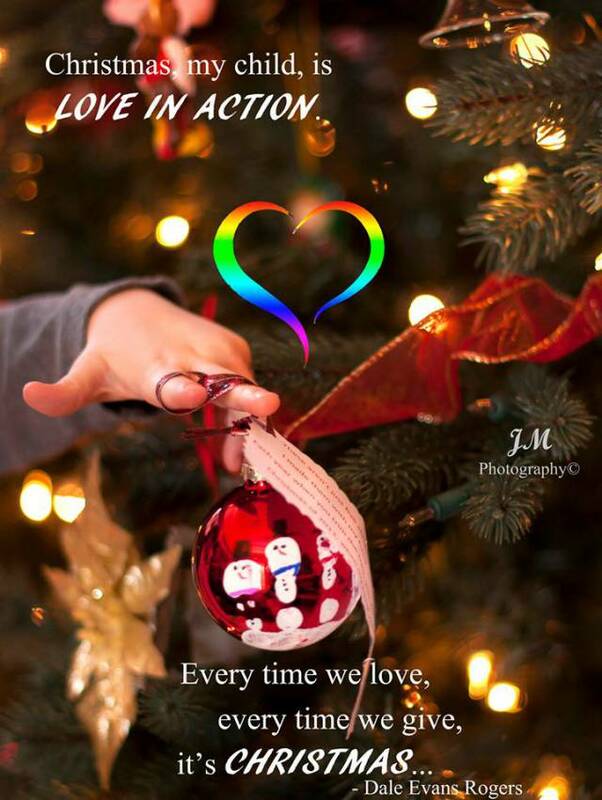 While we do not get into specifics with the kids, we tell them we are helping Santa, by bringing gifts to women and children, who had to leave their homes and would not have Christmas without our help. Beth is VERY proud of her part in this, and talks about how proud God is when we help others. Anne is happy to do as her sister does, but does not really understand yet. When the girls are older, we will involve them in other ways, perhaps even volunteering our time to help out at the center. When the time comes, they may be drawn to helping others in different ways, and we will let them lead the way, but for now this is how we help. We are thankful for the family and friends, who contribute and help us teach the girls the true meaning of Christmas. While we ask that the shelter not recognize our donation, we take pictures every year, so as the girls grow-up they can see the ways they have helped others. Our wish is that one day we will have a wonderful (and large) scrapbook, of all the love we have put out into the world. Sometimes I am sad that we don’t share pictures of the girls online, because I took some really adorable ones at a fest, and during our multiple Happy Birthday sessions. We do not share their images (or use their real names) for privacy and safety, but also because they are too young to decide whether or not they want their lives shared with the world. I share small portions of our life here, because in Al-Anon we learn that the way we help ourselves (and others) is by sharing our stories. So I share my perception of events, while keeping my girls’ dignity in tact. Being able to share, is one of the ways I work my program, and try to keep my serenity. If it were not for all the generous and courageous people who share their stories at Al-Anon meetings, I would not be where I am today. While I am still at the beginning of my recovery; I am a much better person, friend, family member, wife and mother than I was three years ago. This is my third attempt at blogging. My first two attempts just did not progress the way I envisioned them. I think I was trying too hard to change the world with my new-found positive view of life, which often sounded more like preaching than honest sharing. The preaching, know-it-all portion of myself is one of my character defects that I pray for my Higher Power to remove. After taking a hiatus from writing, mainly because of health issues, I realized that my sickness was doing more writing, than my program, and that would not help anyone. The Serenity Spectrum is as true to life as I can get, while respecting the anonymity of my family and friends. I thank you all for allowing me to share my story with you, and I hope that as time goes on you will share with me; because I still have so much more to learn about life, love, hope and happiness.